Baritone Wirecraft Figurine – Show your love for the baritone with this unique figurine! 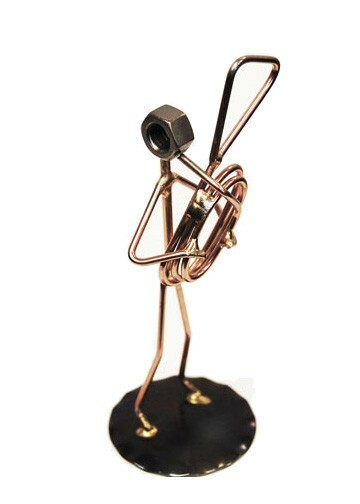 Crafted with precision, metal and copper materials have been creatively used to form a figure blowing on a baritone. A great music gift idea for a baritone player or marching band director. Approx. 2″ W x 6″ H.